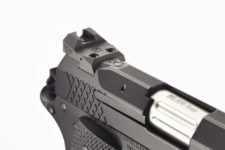 Features: FO Front Sight. Double Stack. Special Serrations. Rail. Condition: New In Wilson Soft Bag! 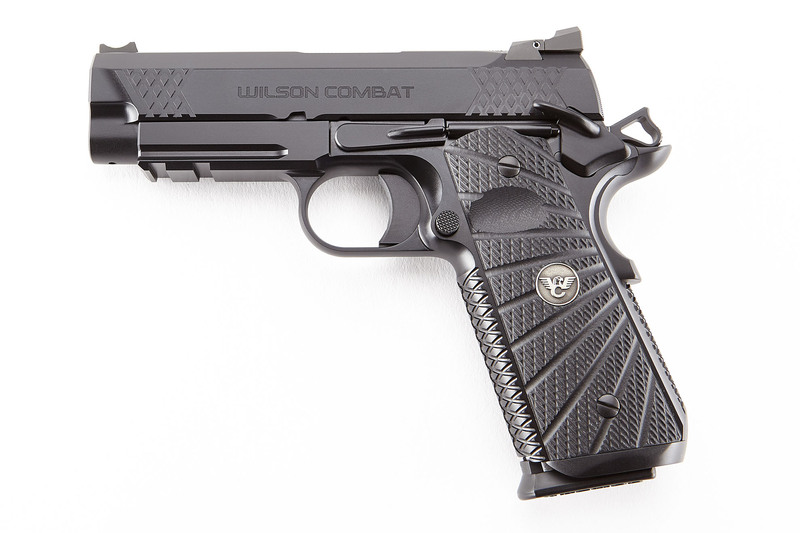 Wilson Combat’s EDC X9 PROFESSIONAL is an everyday carry, 1911 with match-grade accuracy, superior ergonomics, and concealability with modern service pistol capacity and reliability. 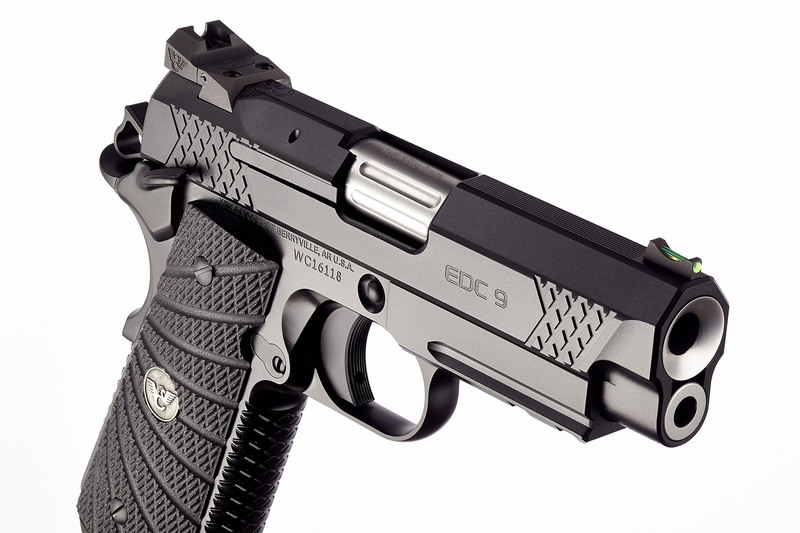 It is a hybrid of Wilson’s EDC 9 1911 tactical slide assembly with a high-capacity X-frame. The slide assembly features ERS “Enhanced Reliability System” and on this PROFESSIONAL DOUBLE STACK model includes a tactical rail. 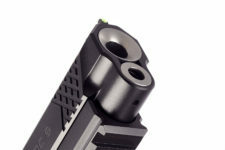 The ERS is tailored to the varying power level of 9mm ammunition and maintains impressive reliability in all conditions. Other features include a Tri-Top slide profile with user-replaceable front sight, rear tactical adjustable battlesight, single lug tapered cone match-grade barrel, and a rugged, user-serviceable external extractor. 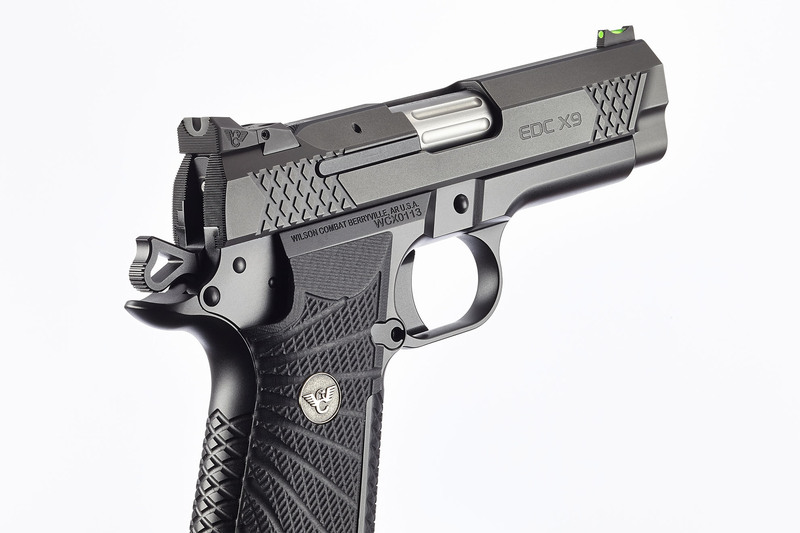 The screwless, X-frame is machined from T6-7075 aluminum and accepts a high capacity magazine with a grip that is smaller in circumference than a standard 1911 while retaining traditional 1911 controls. It uses hammer spring tension to keep the aggressive traction Wilson/VZ G-10 starburst pattern grips securely in place. The X-frame also features a small backstrap and medium trigger pad. The front and back strap are machined with the Wilson Combat X-Tac tread pattern which provides a tactile but nonabrasive grip. Included are two 15-round magazines. 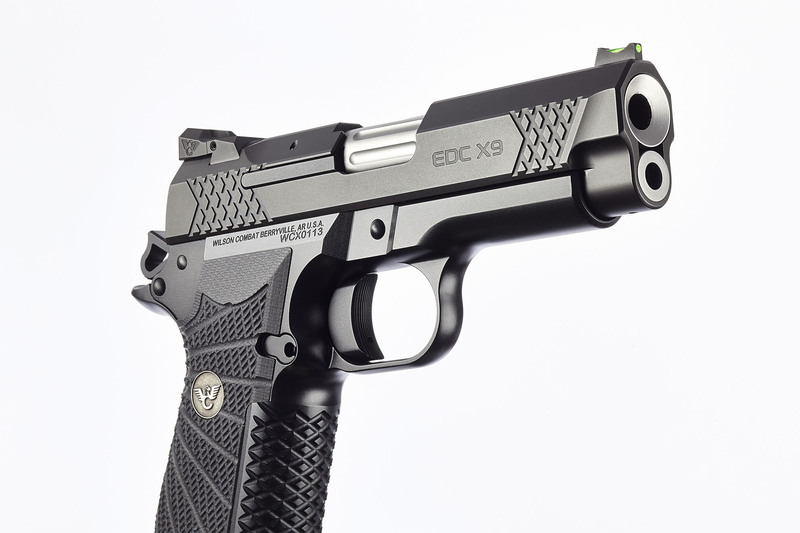 Wilson Combat’s EDC X9 is an everyday carry, 1911 with match-grade accuracy, superior ergonomics, and concealability with modern service pistol capacity and reliability. It is a hybrid of Wilson’s EDC 9 1911 slide assembly with a high-capacity X-frame. The slide assembly features ERS “Enhanced Reliability System”. The ERS is tailored to the varying power level of 9mm ammunition and maintains impressive reliability in all conditions. Other features include a Tri-Top slide profile with user-replaceable front sight, rear tactical adjustable battlesight, single lug tapered cone match-grade barrel, and a rugged, user-serviceable external extractor. The screwless, X-frame is machined from T6-7075 aluminum and accepts a high capacity magazine with a grip that is smaller in circumference than a standard 1911 while retaining traditional 1911 controls. It uses hammer spring tension to keep the aggressive traction Wilson/VZ G-10 starburst pattern grips securely in place. The X-frame also features a small backstrap and medium trigger pad. The front and back strap are machined with the Wilson Combat X-Tac tread pattern which provides a tactile but nonabrasive grip. Included are two 15-round magazines.